There are 11 reviews of Eternity Moment. 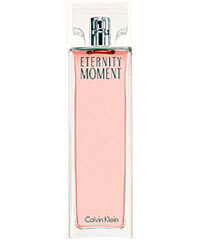 Eternity Moment is the perfect light fruity floral. It's delicate and airy without being wimpy. The peony is beautiful and the fruit notes mellow. Eternity Moment is office safe but also highly feminine. It can take you from morning to night. It's especially lovely in the spring/summer months, but can be worn year round. It's the perfect choice when you simply want to smell good. I saw this on sale & decided to give it a try. When the shop assistant initially described it as floral I almost decided not to try it as I dislike floral scents. I tried it and was surprised. Its a very wearable floral - a scent that can be worn every day. Its inoffensive and like an earlier reviewee (lady love) has mentioned this is the kind of scent which will make you love a floral even though its not your type of scent. This perfume lasts all day on me and its one of those in my collection that I wear when I'm not sure what to wear, if you see what I mean. I honestly could not smell anything when I tried this fragrance. It has to be the lightest perfume. I thought it was a bad tester bottle at first, but I tried it again in another store and there was still no luck. There was the slightest hint of jasmine after about 5 minutes, but I had to really press my nose to my wrist to smell this one. 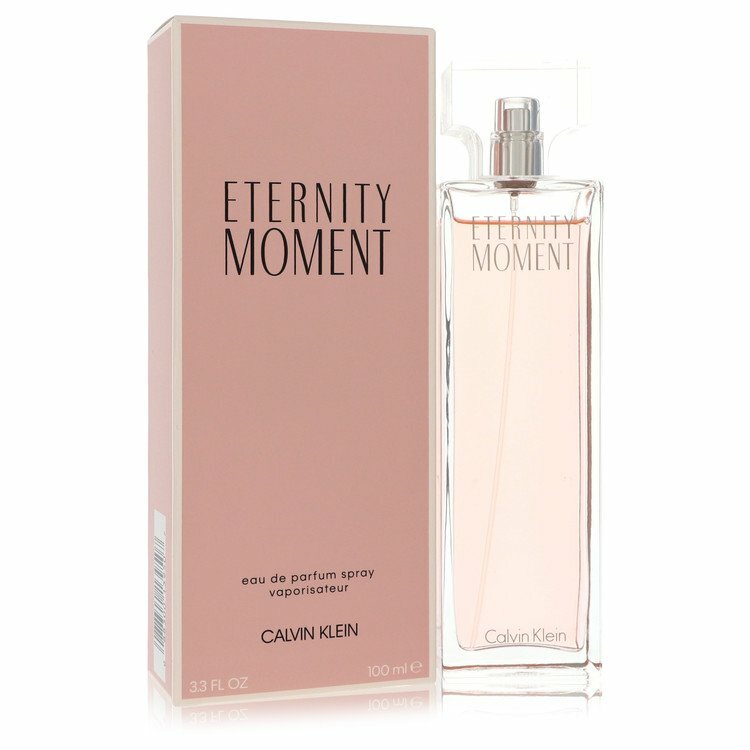 Eternity moment is the kind of fragrance that makes you love Floral scents,even though they were not your type, you will find it feminine, lovely and sweet. I feel is like the smell of a tender petal, Eternity Moment isn't aggressive or overwhelming like other florals. Spite of that, the sillage is perfect and people around you will notice this beautiful fragrance. I love Eternity by Calvin, but this parfume is far better.. I tried this and was reminded of so many other fruity florals that I couldn't pick just one. It's not at all bad maybe just a little boring to me. I loved the dry down though when the fruit kick subsided it was very nice. I’m bucking the trend here, I guess. I think Eternity Moment is quite a good soft fruity floral. It has a delicacy that I find unusual in fruity florals. The fruits and florals in the opening and heart notes are a tiny bit tropical in nature, but they stay so delicate and subtle in their delivery. It’s delightfully feminine and soft and natural. The drydown is a gentle sweet musky wood that has somewhat good longevity for such a light scent. I find it very surreal that I’m saying such good things about a fruity / floral and about a recent Calvin Klein fragrance. 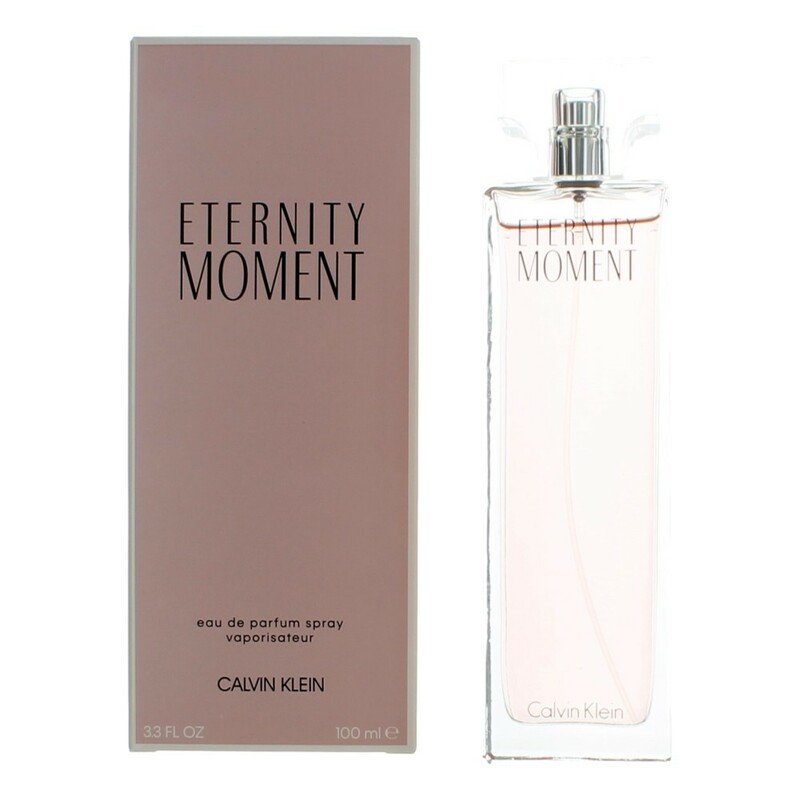 Calvin Klein Eternity Moment 3.4 Ounce Eau De Parfum NEW!! AUTH CALVIN KLEIN (3) EDP- PARFUM BOTTLES FOR WOMEN-ETERNITY & ETERNITY MOMENT!! There are no member images of Eternity Moment yet. Why not be the first? Calvin Klein Eternity Moment Discontinued? ?